Businesses from across Peterlee and Seaham have come together to share their stories of growth. At the latest Network with your Neighbour event, held at Seaham Hall Hotel and organised by the Peterlee and Seaham business park groups, over 30 people gave updates on how their business is developing. Among the companies who shared stories of expansion and success were Shred Direct, whose owner Graeme Carter announced the business had secured another region-wide contract with a pharmacy chain; Workwear Express, who revealed that they’ve acquired an additional 40,000 sq ft of space to accommodate growth; and Great Annual Savings Group, who said they planned to increase their headcount from 200 to 300 over the next year. 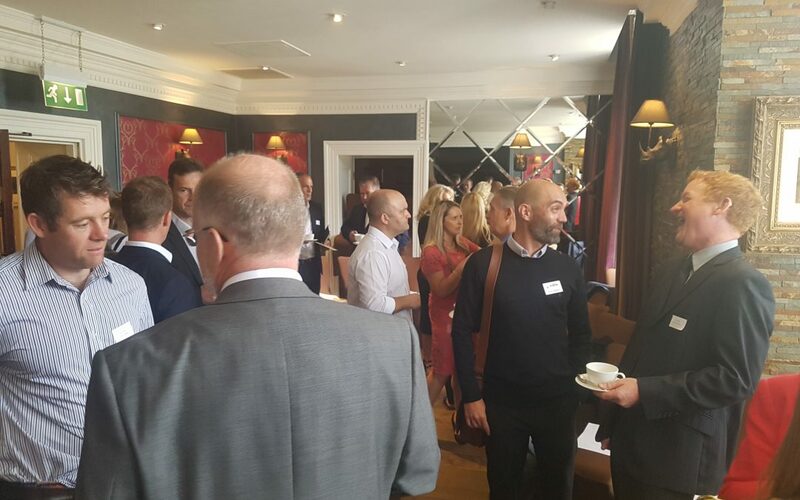 Other businesses in attendance included Steadfast Group, GEM Training, Durham University, East Durham Business Service, North Star Ventures, Andrew James Worldwide and Charltons. Paul Wellstead, developer of Spectrum Business Park in Seaham, is the new co-chairman of the business group. He said: “It was clear from the updates given by attendees that so many of our businesses are growing. The event was organised by Business Durham and LEC Communications and Design.